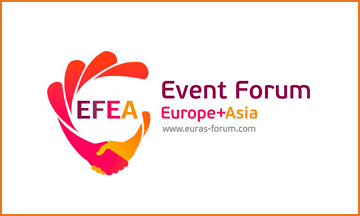 In Saint-Petersburg in the Exhibition research centre R&C hosted the third Eurasian Event Forum (EFEA). the 2013 Forum was attended by over 300 industry specialists from 23 regions of Russia, including Vladivostok, Samara, Saratov, Tomsk, Yaroslavl, Rostov-on-don, Kazan, Irkutsk, etc., and in 27 countries: UK, Germany, France, Hungary, USA, China, Thailand, Ukraine, Baltic States, Scandinavia, etc. Among them were such world leaders of exhibition business, as Reed Travel Exhibitions, Gl Events, Messe Frankfurt GmbH, Deutsche Messe AG, ITEGroup, UBM, Messe Düsseldorf GmbH, Mack Brooks Exhibitions, etc., representatives of leading international professional associations AUMA, ICCA, UFI, ACTE, PATA, as well as Susatainable Russian theatre and the Russian Union of Exhibitions and Fairs. The company "Auto Management" participated in the forum 2013, 2014 and 2015 as a transport sponsor and partner.